Over on reddit, an awesome AMA between readers and NASA Mars scientists plumbs deeper into today’s flowing water announcement. Here’re the highlights. 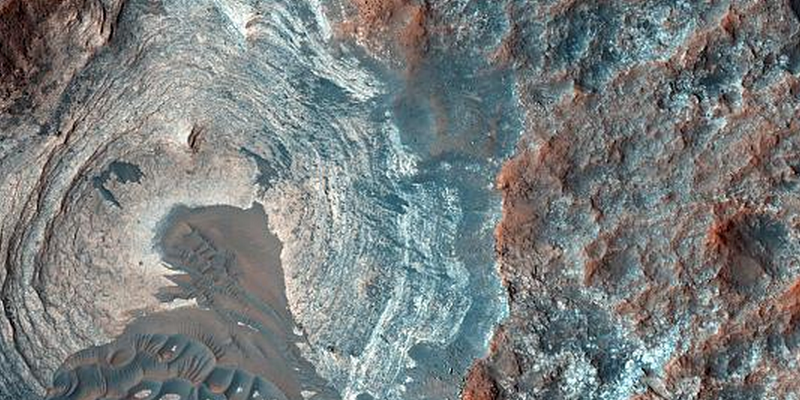 The NASA team answered users’ questions on the discovery of flowing water on Mars, and what that means going forward. With MRO, we were able to observe a few of these sites at various points within the Mars year, and again the next year. Over time, we saw that the streaks darkened and lengthened during the warm season and faded during the cold season. A benefit of having MRO lasting so long is that we’re able to see changes and patterns over time. Could there be Martian life in the water since it’s only there at certain times of the year? What might happen to the life when the water disappears? It was mentioned that there’s life on Mars in the form of microbes on the machinery. Is it possible that these microbes sent by us could harm Martian life? It’s possible. We know of forms of life that hibernate during dry seasons on Earth. The water that we’re seeing within the RSL (the seasonal dark streaks that we’re seeing on slopes on Mars) is salty. Salty water could be harmful to life. Now that you’re an expert on the Mars announcement, you should check out the rest of the AMA. There’s a lot of great conversations and info about Mars, and the team has said they will continue to answer questions over the next few days. Consider getting out your jokes about The Martian in the comments before you head over there.